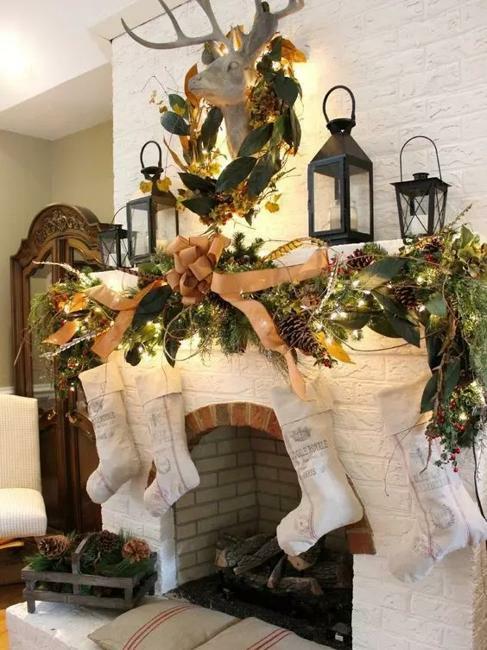 Fireplace decorating is essential for creating a cozy and beautiful winter holiday decor. 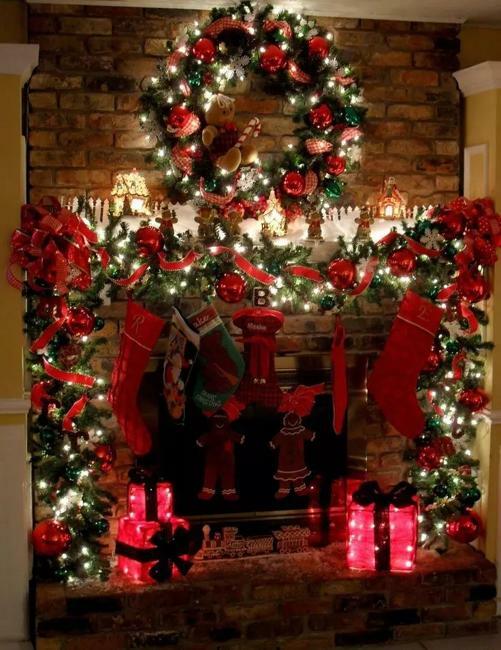 A fireplace with a Christmas garland and candles or Christmas lights create a festive room in no time. It makes another focal point for interior decorating and offers a welcoming place to enjoy a cup of tea, conversation, and warmth. 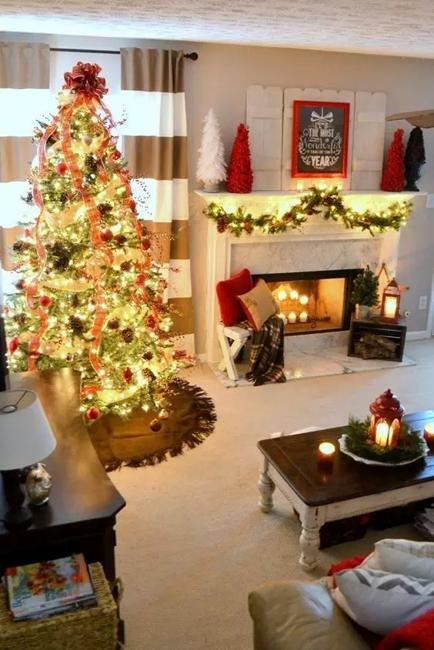 If there is no a Christmas tree in a room, then a fireplace grabs the attention. 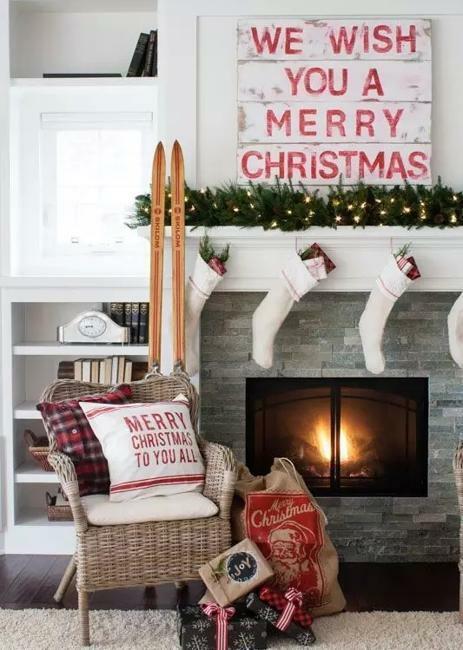 Mantel decorating for Christmas is a sure way to brighten up your living room or bedroom and make it feel festive and beautiful. 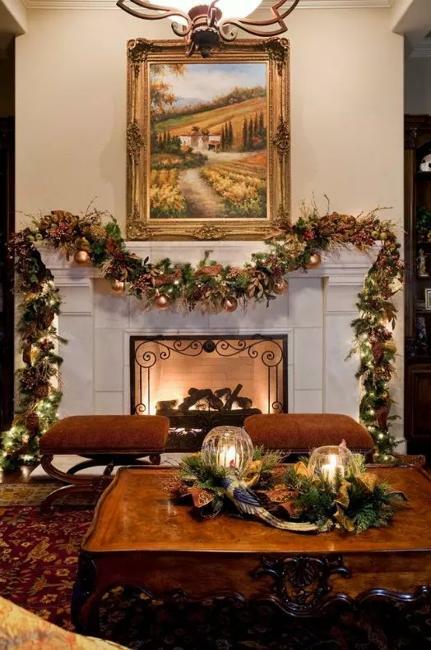 As winter holidays are being right around the corner now is the perfect time to add cheer and color to fireplace decorating. 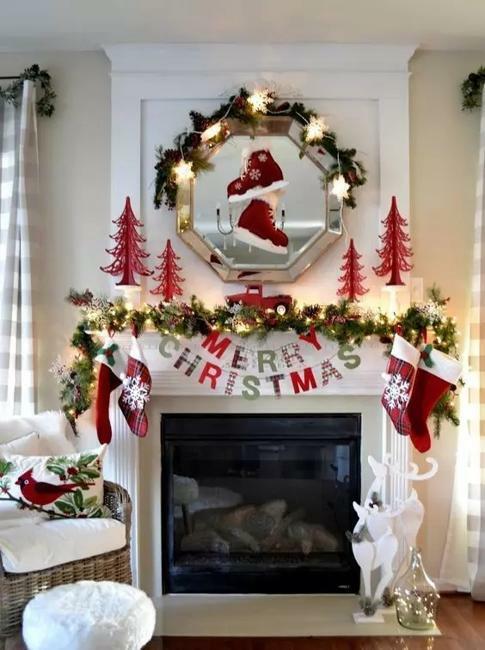 Here is a collection of spectacular ideas for fireplace decorating with Christmas garlands, candles, Christmas ornaments, and lights. 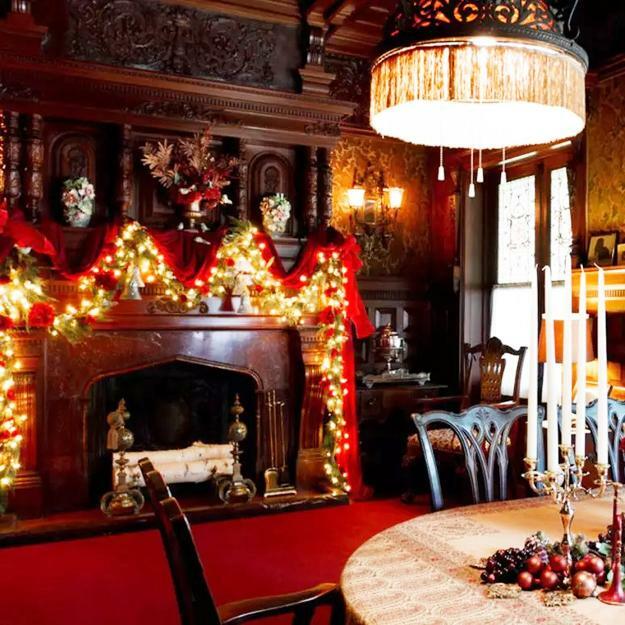 Get inspired and select the best way to bring Christmas colors, cheer, and stylish look to your mantel. 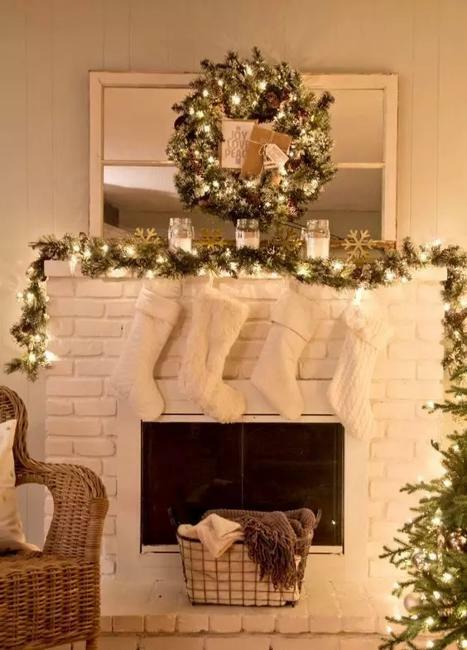 Fireplace decorating for Christmas is about creating a spectacular focal point that complements your Christmas tree or makes a statement on its own. 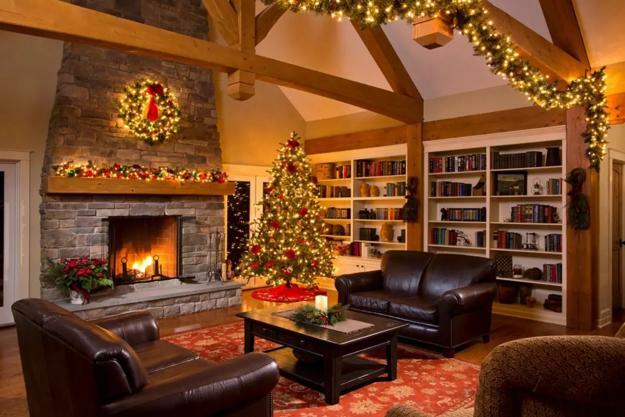 Here are the best fireplace decorating ideas to turn it into a festive, impressive, elegant, and beautiful feature of your living room. 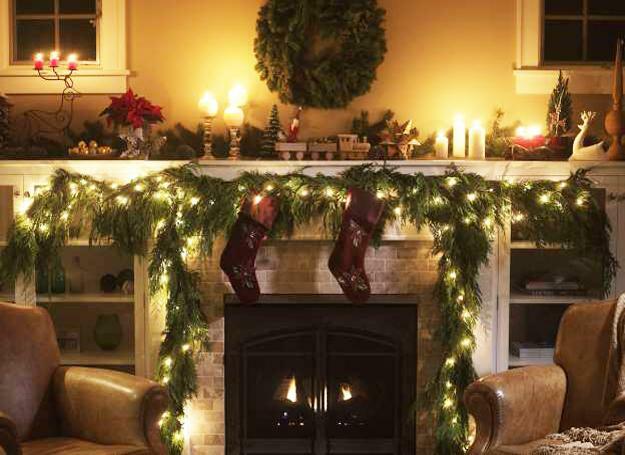 Keep fireplace decorating elegant with traditional Green garlands and lights. Add a few holiday ornaments but use them in moderation. 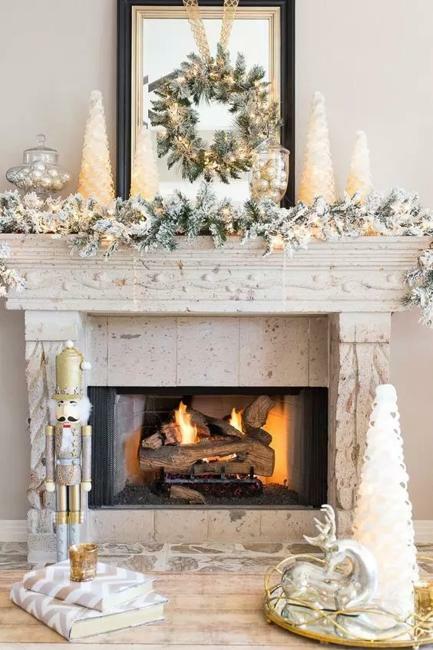 Neutral color tones, silver, golden decorations, and another accent color create a beautiful color scheme for Christmas fireplace designs. 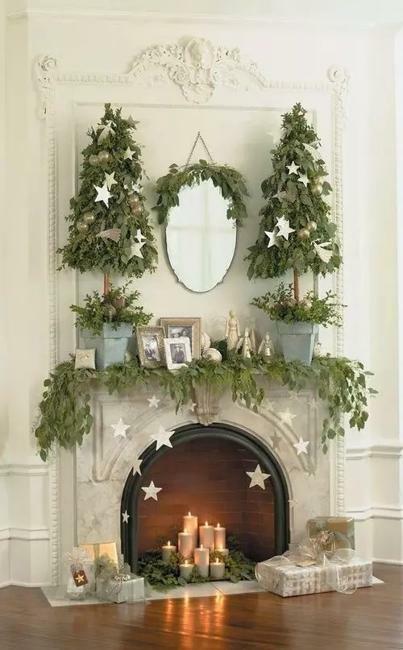 Natural materials for fireplace decorations look beautiful with evergreen branches. Balance your decorating design by combining Christmas lights and ornaments with green garlands which give a simple, traditional, and elegant touch to winter holiday decor. 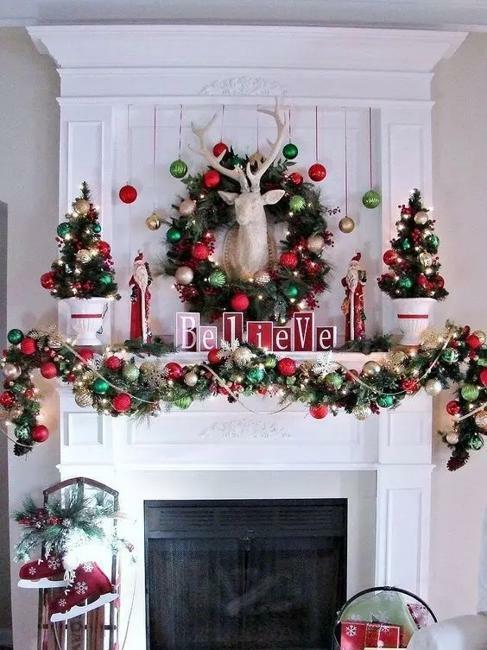 Green and red colors are a classic way to decorate fireplace mantels for Christmas. 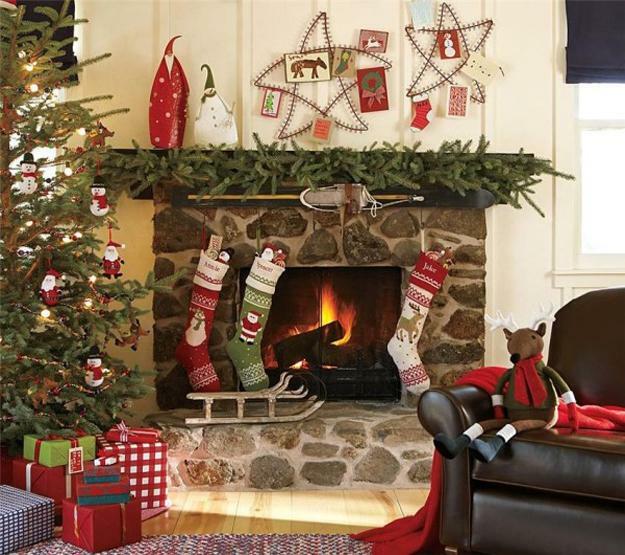 If you like to add a fresh feel to your fireplace decorating, consider ornaments in various red and green colors and play with gorgeous hues. SIlver and white decorating ideas look fresh and beautiful. 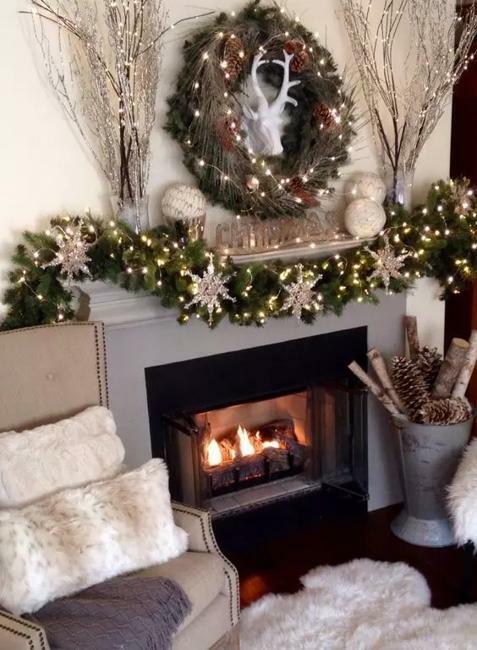 White ornaments, faux snow, and silver accents create a fabulous effect. Metallic silver, light blue, and white accents bring diversity into holiday decor and give a hint of natural winter colors to fireplace decorating. Whites, gray color tones, sky blue, and all light pastels create sophisticated chic and splendid beauty in festive holiday rooms. There is something magical about glowing in the dark Christmas decorations. String lights, candles, metallic accents, and glass ornaments create a magical display and enhance the natural beauty of Greeb garland. Faux snow and winter-inspired ornaments blend beautifully with green colors and Christmas lights. Green branches with candles are a perfect combination for modest fireplace decorating for Christmas and other winter holidays. An array of beautiful decorative candles that create bright Christmas decor at night are all you need to enhance the spirit of the winter holidays. 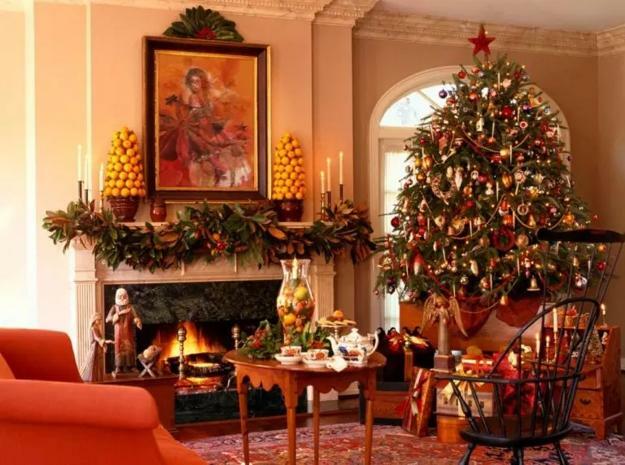 All Christmas decorations look brilliant, welcoming, and impressive with candles. 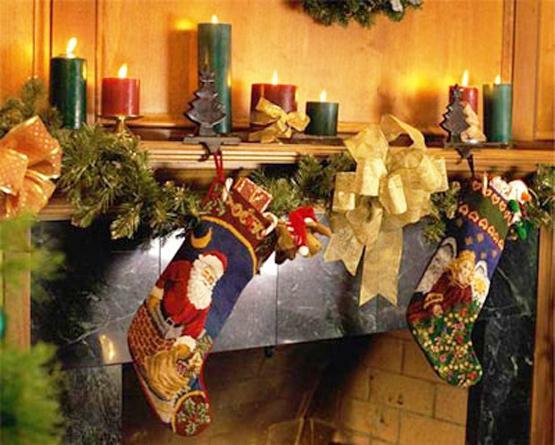 Winter candles in various sizes and designs enhance the Christmas feel and make fireplace decorating appealing and bright. Wooden and metal ornaments look as well as glass Christmas balls on green branches. 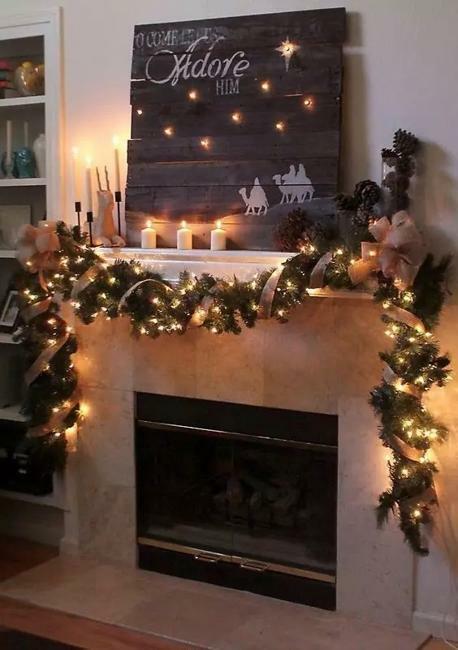 Rustic and handmade Christmas decorations, mixed with string lights or candles create beautiful fireplace mantels that take the breath away. 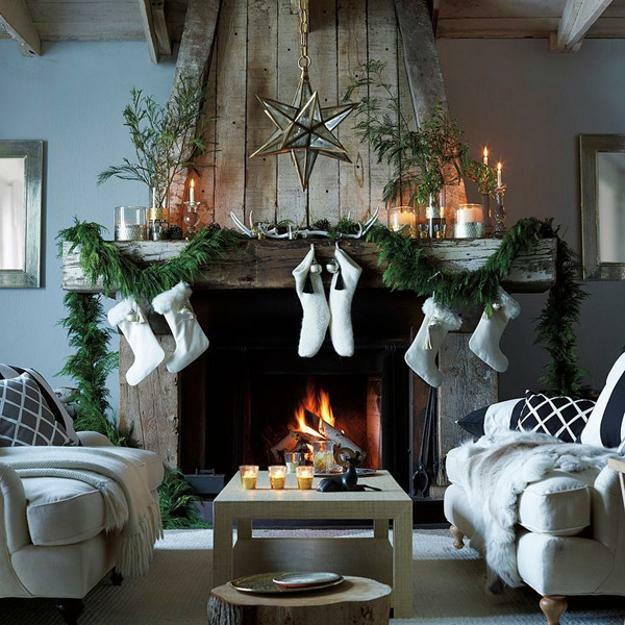 The charming vibe of rustic holiday decor evoke the nostalgic feelings and bring happy memories. Handmade Christmas decorations make everyone feel welcomed and relaxed. Metal wire, wood, paper crafts add vibrancy and personality to fireplace garlands and create spectacular and warm fireplace displays. 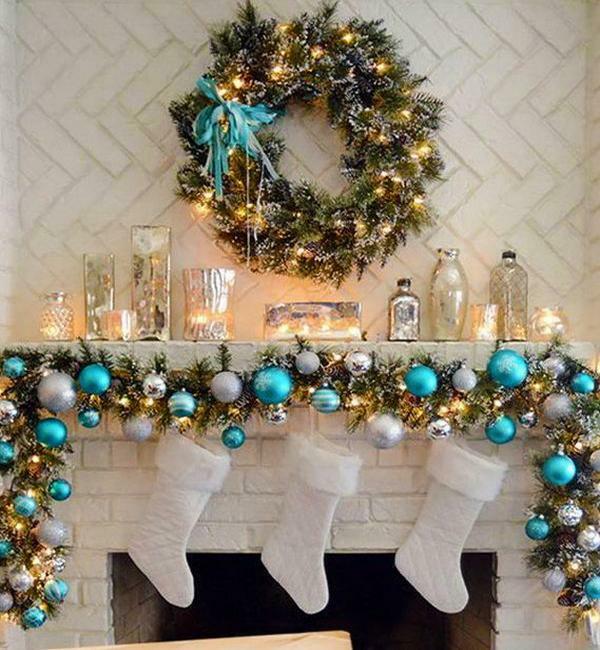 Mix Christmas accents in various styles to create one-of-a-kind garlands for your fireplace decorating. A fusion of styles is an excellent way to make a statement. 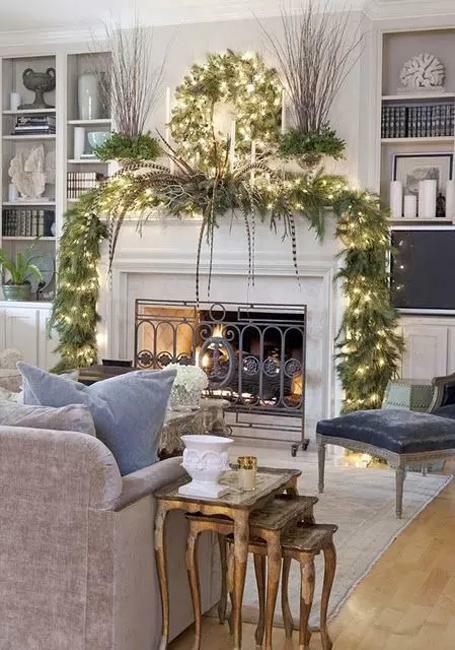 You can add charming vintage ornaments or winter branches to your fireplace mantel. Any unusual items will work also. Use full, long branches to ensure you cover the entire shelf and have free-hanging ends. 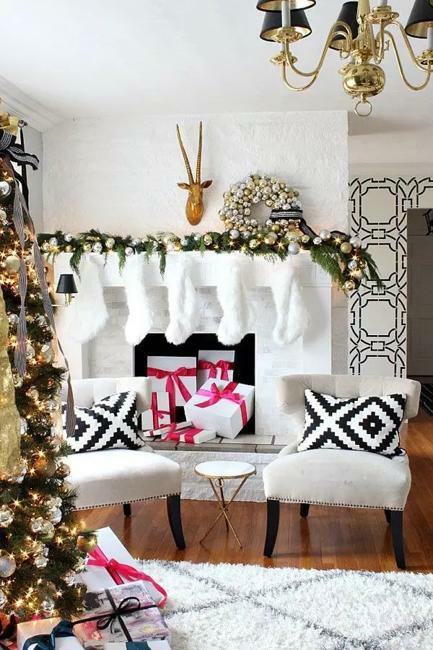 Lush greenery brings chic into a room and magnifies the beauty of Green Christmas decorating. 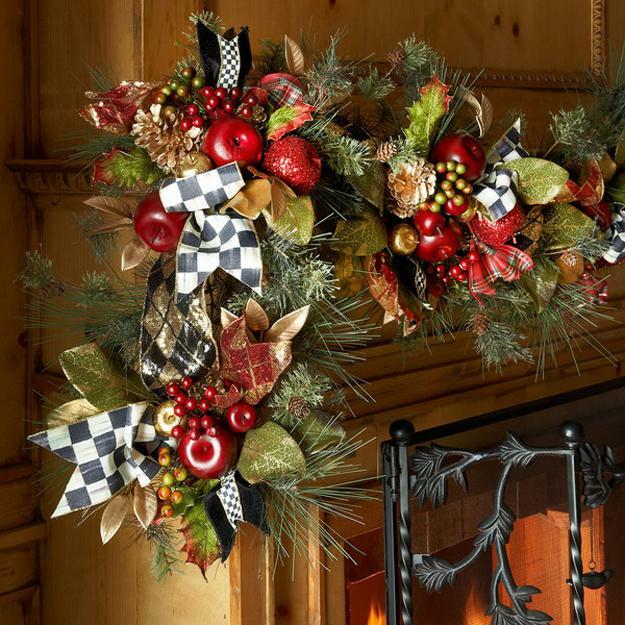 For designing a captivating display bring more evergreen garlands and create two rows of lush greenery on your mantel. 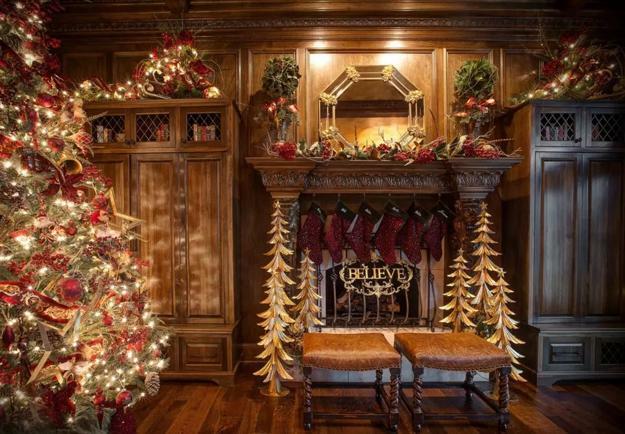 The big is an excellent idea when you plan an impressive holiday decor installation. Keep it elegant and simple by using only Christmas lights or candles, and adding a few seasonal sculptures or a vase with Christmas balls to make your holiday decor look elegant.